How to Quit Cable for Online Streaming? You are here: Home > Tutorials > Miscellaneous > How to Quit Cable for Online Streaming? Watching TV is a great experience, you get to relax in front of your TV station while staying in the couch, and that can help you make the most out of your entire TV schedule. There are plenty of reasons why you should watch Cable TV nowadays, but the reality is that the same activity also has plenty of downsides. You are restricted to specific hours of programming, and at the same time, you have to sit in front of the TV all the time without having to take a break unless the Cable TV station issues you one. The best way to solve this problem is to use online streaming. This type of media consuming was created with a single premise, and that is to offer you a stellar way to access all video content. 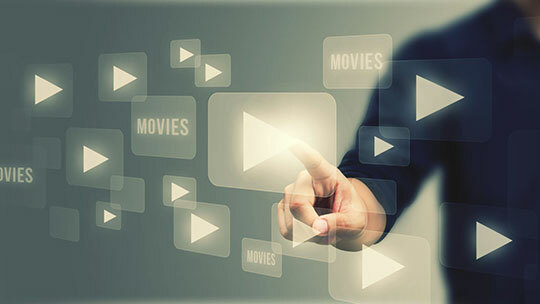 There are plenty of reasons why online streaming is better, one of them being convenience, but at the same time you will also have some other benefits which include pausing the videos when you want, accessing them at any given time during the day or night, pristine quality, the ability to create your own watch list and other cool stuff. All of these combined offer a great experience and a stellar variety that you will definitely appreciate. There are multiple types of online streaming, either paid or free. While watching free TV online can be quite impressive, there are a few downsides such as the lack of features, and succumbing to a paid solution is the better option that you should try to access all the time. But when it comes to the paid streaming solutions, which are the best? Here you can find the highest quality sites that allow you to obtain pristine video quality and plenty of features! Netflix is by far one of the most popular paid sites and while it has multiple membership options, all of them get great quality as well as lots of exclusives such as House of Cards and Daredevil. This is a really nice site that offers an amazing user experience and the best thing about it is that you can pay less than $10 a month for all this content. Netflix.com is available only in select regions, not worldwide, though, so make sure that it works in your region first. Hulu has a great selection of amazing shows and at the same time, it can also deliver immediate access to a wide range of movies. If you like the portability offered by online streaming you should try out Hulu as it offers great experiences and a stellar way to consume video content online. It also includes some small membership fees which are a major plus. Amazon Prime is a great service that offers you access to tons of great content in the online world. It’s very easy to use and it’s created specifically to deliver a stellar outcome and a great user experience all around. If you love streaming videos and movies but don’t mind paying a small fee in order to do so, this is one of the best choices that you can make. This website is mostly created for Anime fans so you can’t access all types of content here, but if you are an anime fan that wants to obtain access to the best and newest animes, this is a goldmine for sure. The membership price is not that high to be honest and the experience is more than impressive! Videostripe is a great site that allows you to access a ton of movies. The quality is great and while the prices are quite high, the reality is that you can access the site from many countries all over the world, something that’s very useful and amazing to say the least. Another streaming site, but created mostly for kids, this is a stellar way to make the most out of your kid’s tablet time. It can allow you to access online content for your kid as many times as you want, and with more than 6000 shows and videos for your child, streaming here is just a complete pleasure. YouTube Red was created in order to offer video streaming on demand and it does include some specific features such as no ads and the ability to access special content. It’s a great and exciting streaming experience for sure, and the price isn’t that high. Google Play Movies is a great experience for those that want online streaming for videos and the price is just right in this regard. This is a stellar platform which delivers a very good experience and the fact that you can access it from just around anywhere in the world is really nice. BlockbustersOnDemand is similar to the other sites displayed on this page, the only main difference is that you rent each movie and watch it as many times as you want. Price is per movie, but you can easily rent as many as you want and see them as you see fit. There are lots of great online streaming websites that you can access as you can see, and while their pricing differs you can rest assured that the experience is very good. With a lot of options, plenty of opportunities and the ability to access the desired content online as you see fit, the sites you can find in our list are giving a great experience all around, just give them a shot and you will not be disappointed! What’s Next for Online Streaming Services?